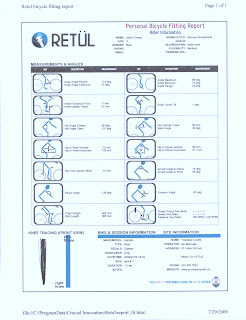 Notes: Comes standard from Fox when purchasing a Fox QR15 fork. 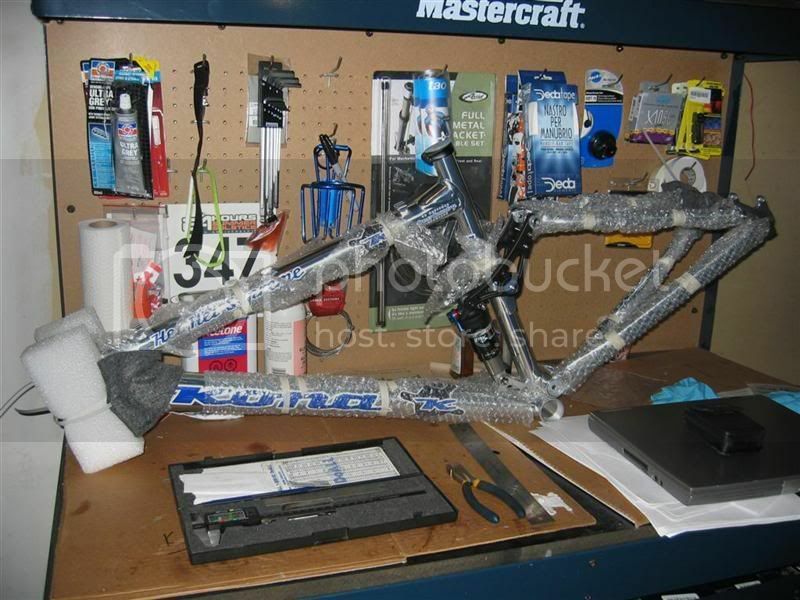 One method of making carbon fibre frames. 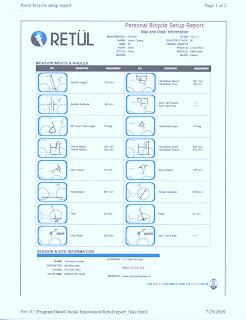 thanks for Product by Process for sharing. One damn cool mountain biking video. British Colombia at its best. Seeing how I've been swamped at work the last 2 weeks. 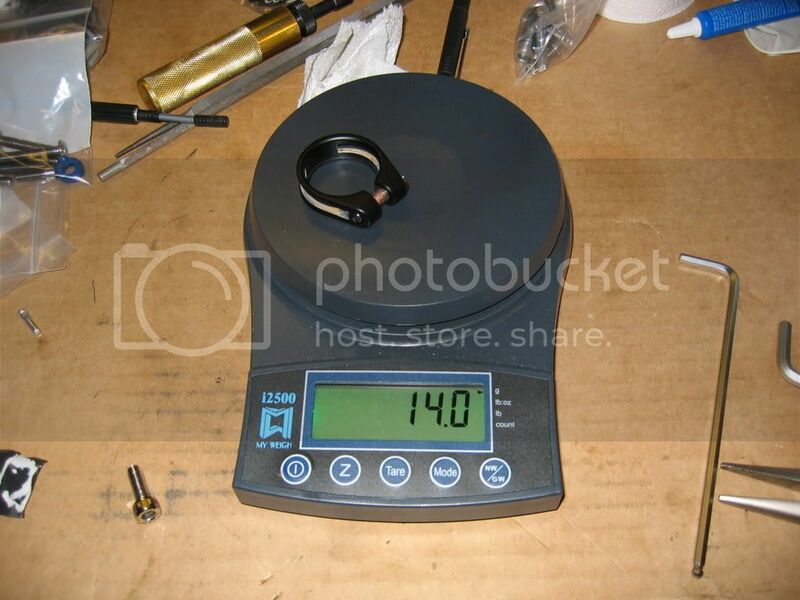 I thought I would try to fill some content with bike part weights that I have personally weighed or have verified. I finally got the HTML script working so that I now have an auto listing of tags with "mass" in its own page Weight Weenies! Enjoy. A picture a friend from Spain posted on Facebook. 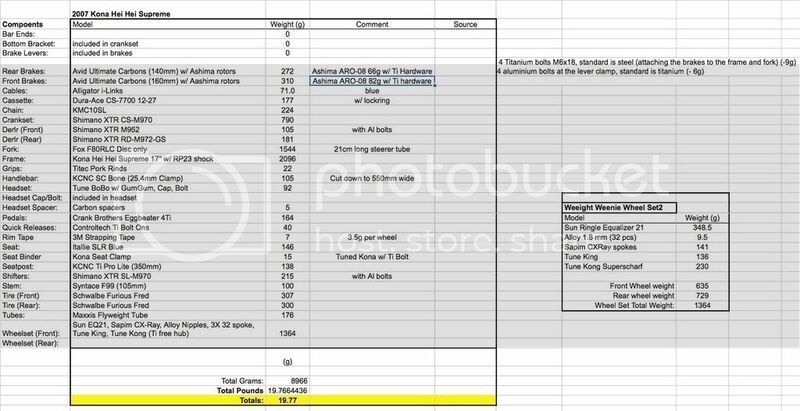 Part of being a Hack Racer is never fully optimizing your body or training to be at your peak. These delicious selections should help ensure maximum difficulty in ever reaching a podium spot. Several of the bottles were chosen based on the recommendation from the Globe and Mail Article I read (http://www.theglobeandmail.com/life/food-and-wine/wine/beppi-crosariol/wine-resolution-try-one-of-these-offbeat-varieties/article2296292/). I'm a big fan of any wine that has a 85+ rating and is under $30 CDN. You usually never go wrong choosing these. My 1st true weight weenie bike. She was regrettably stolen in 2010. Purchased August 2007 from Dukes Cycle (http://www.dukescycle.ca/) in Toronto. 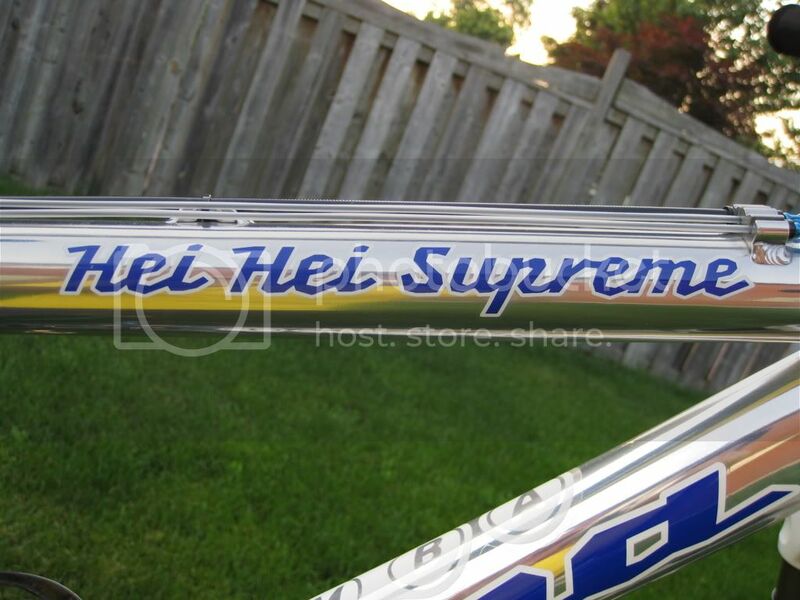 This Kona Hei Hei Supreme happened to be last 17" frame available by Kona as they had changed the design in 2008. 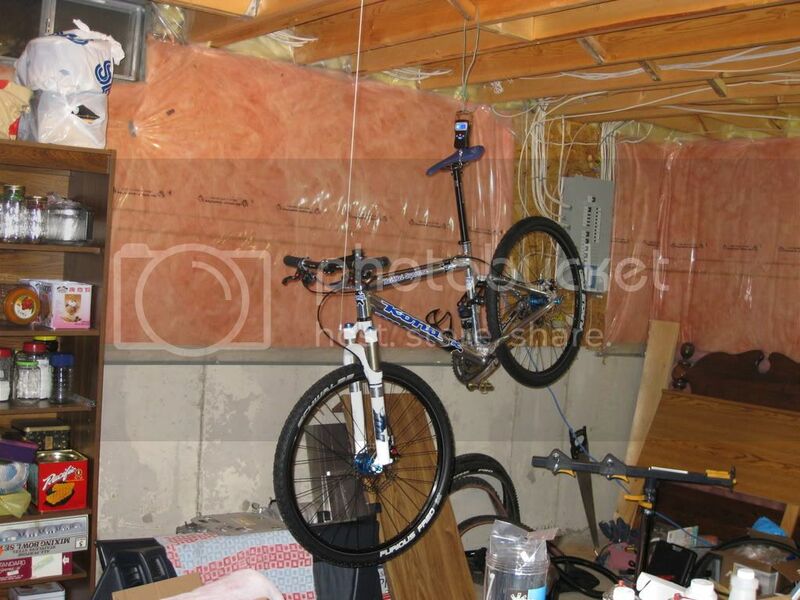 It was actually missing the rear shock as it was a frame reserved for their warranty program. 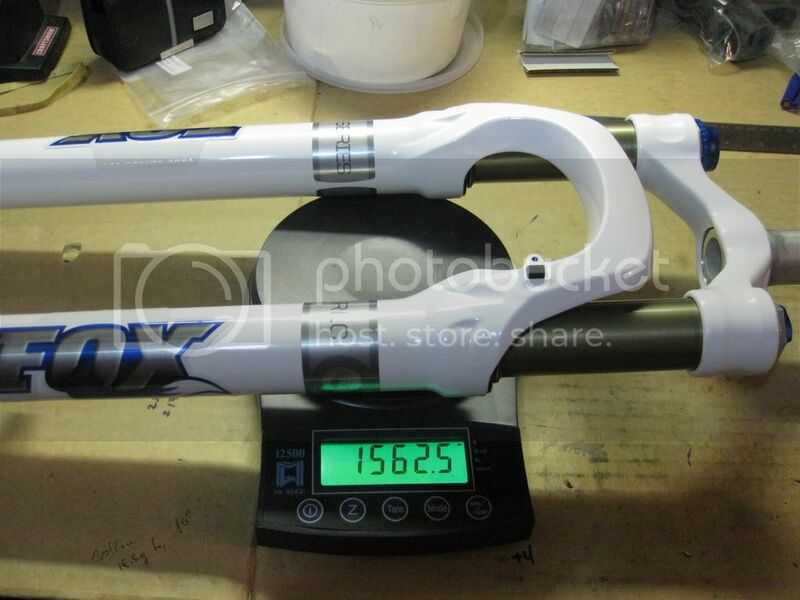 I remember Gary Duke owner of Duke Cycles telling me that it was missing a shock and he was trying to see if they could obtain a shocks for it directly from FOX. 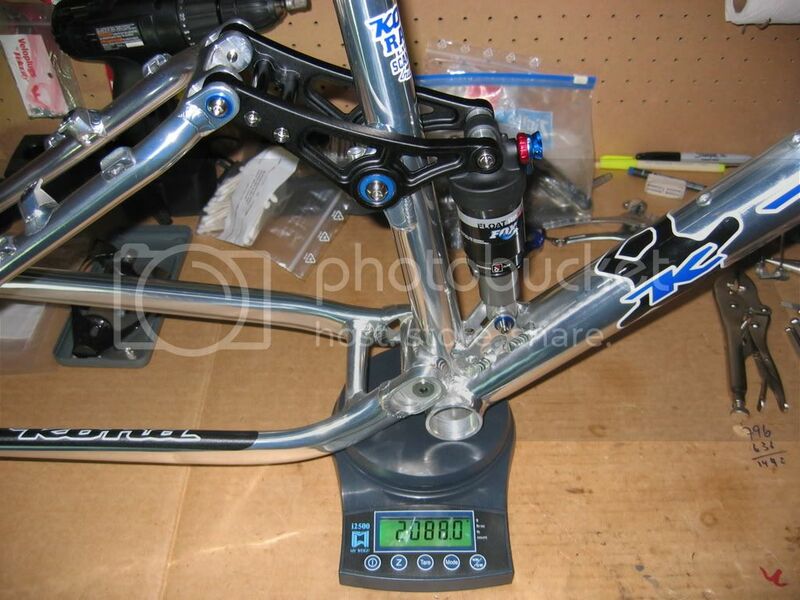 In the end he got Kona to supply the frame with a 2008 FOX RP23 instead of the original 2007 RP23. 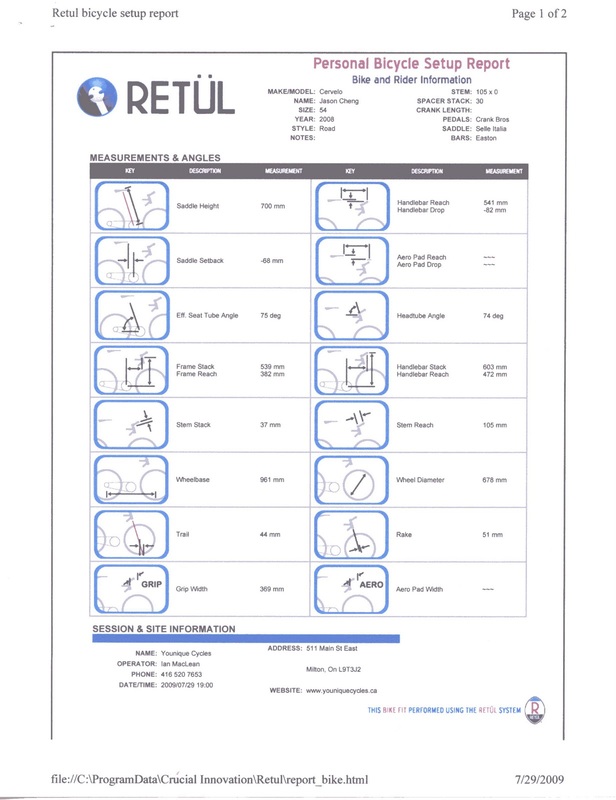 The build of this bike I had planned for several months. 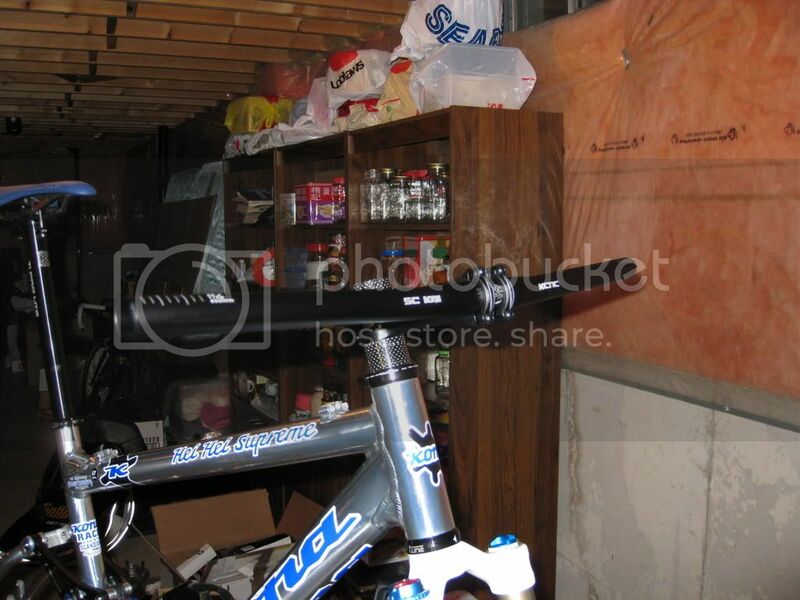 At the time I had just gotten hooked by weight weenies on MTBR and also http://weightweenies.starbike.com/forum/ both of which I still frequent very readily. The build was planned as light as possible without resorting to exotic parts. Ron Ruff owner of http://www.whitemountainwheels.com/ is someone I have been doing business with for a long time. I think I was one of his 1st batch of customers. 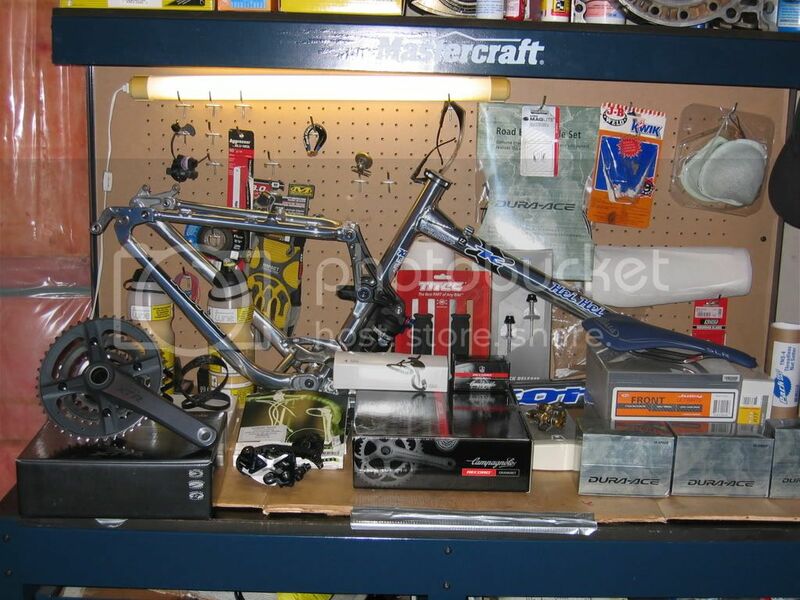 My 1st wheelset he built for me was a pair of road wheels. Tune Mig70/Mig180, CX ray spokes, 2006 Reynolds DV46C rims. 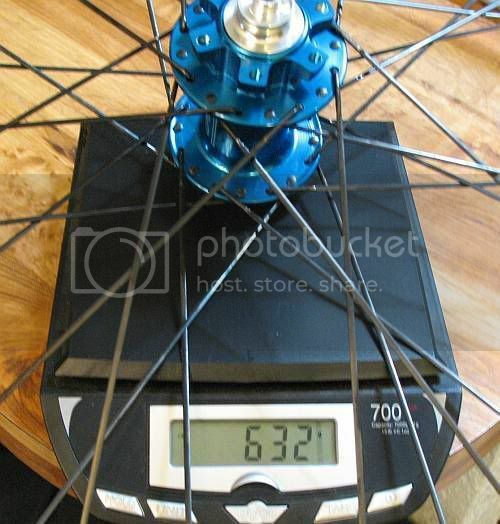 I took a chance with him when he was little known on the various forums on the internet, and the wheelset came out beautifully. 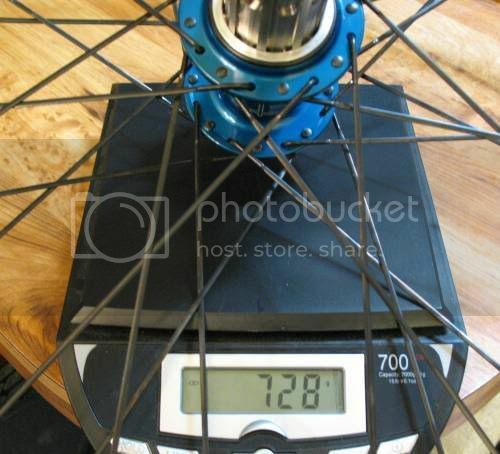 So without a doubt I went with him a 2nd time to build the wheelset destined for this bike. These wheels road beautifully. 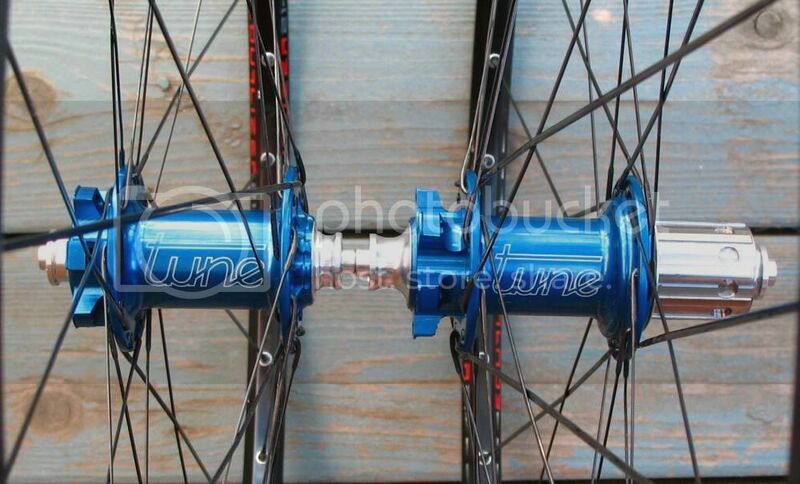 in the 3 years I raced and practiced these wheels they held up perfect. Spoke tension always remained even, rim always stayed true. I did however had to have the front rim replaced by Ron after 1 year. The front tire flatted on a long rocky decent and before I could stop safety and change the tube, the rim took the abuse of several large rocks which dented and cracked the rim. The frame was an amazingly light frame for its time. This was before the Scott Spark became popular. 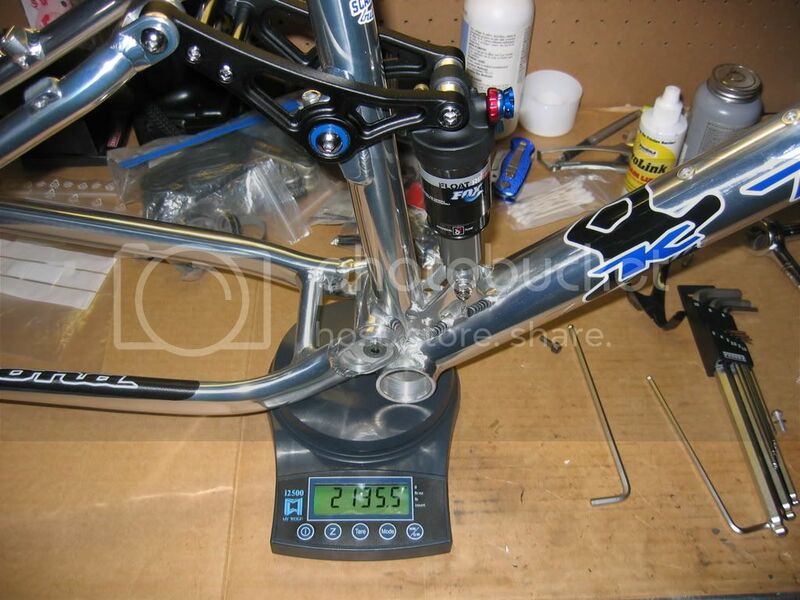 It is probably the last of the light weight aluminum full suspension frames before carbon became dominant. A 2008 Fox F80 RLC suspened the front end.This was the best of the best in 2008, an open bath air spring super plush fork. 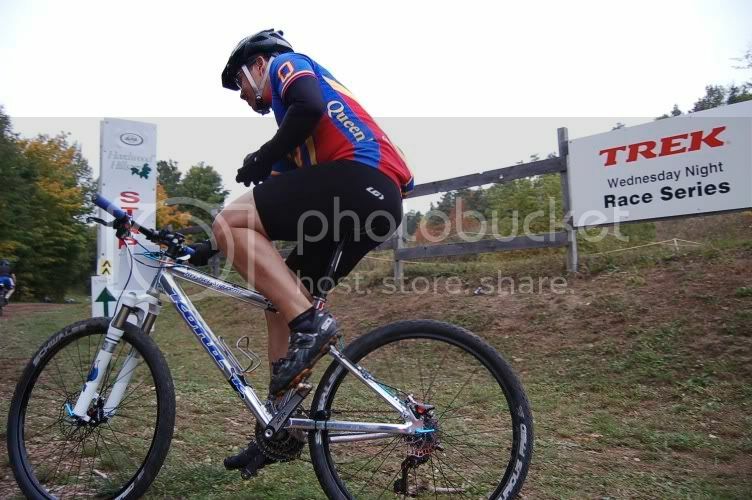 I have been been riding FOX forks since 2005. 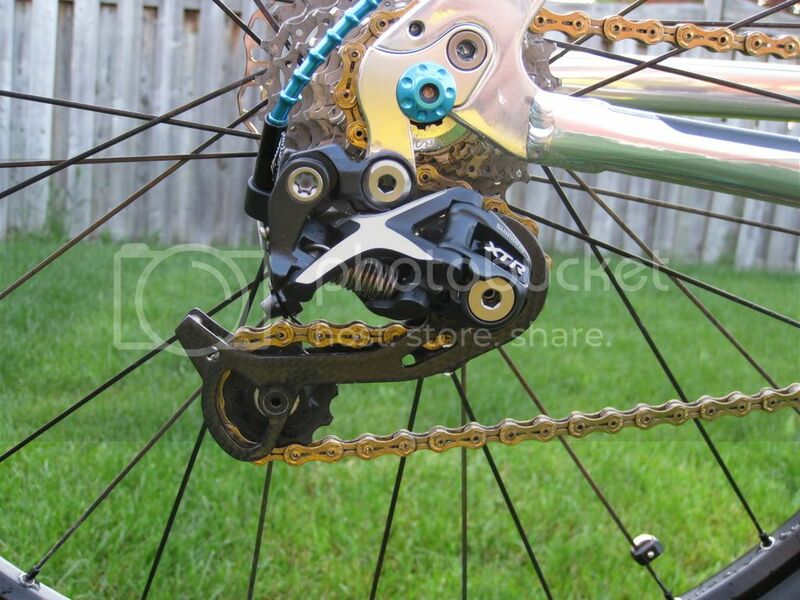 The bike originally used KCNC for most of its supporting components. 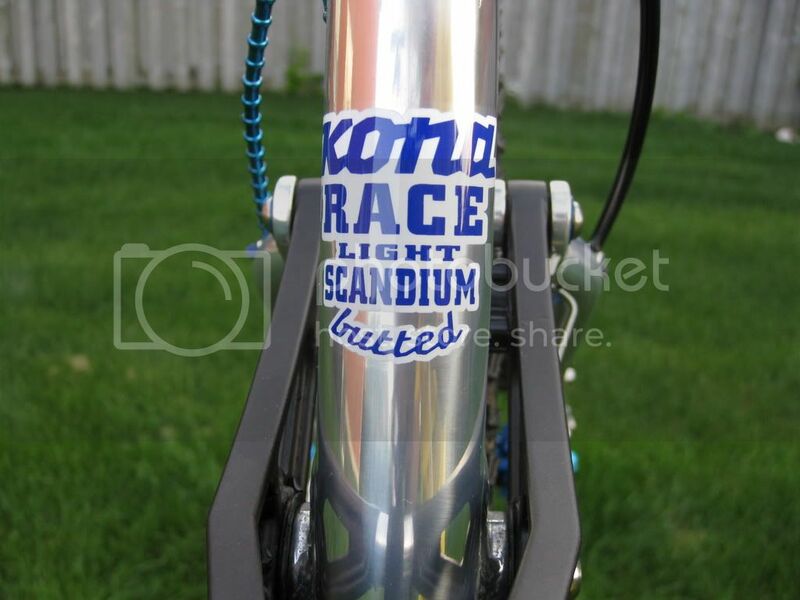 The KCNC Ti Pro Lite had just come out and was clearly the front runner in terms of light seat posts available on the market. Unfortunately as time went on the seat post proved to be too light and the Ti bolts snapped, and with new ones replaced, it still had trouble holding the saddle rails tight. It was later replaced with a Thomson Masterpiece. 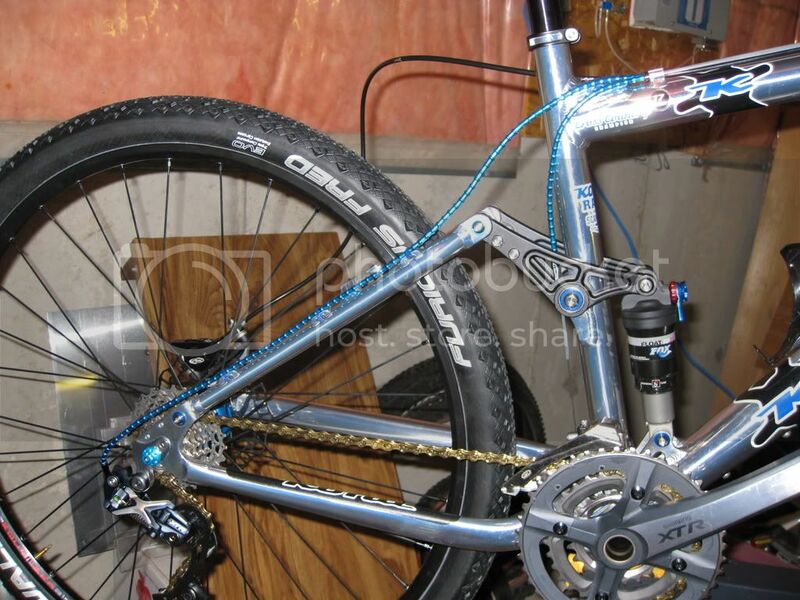 The finishing touches added Alligator i-Link to accent the bike with its blue anodizing. They were light weight aluminum bead housings similar to nokons. 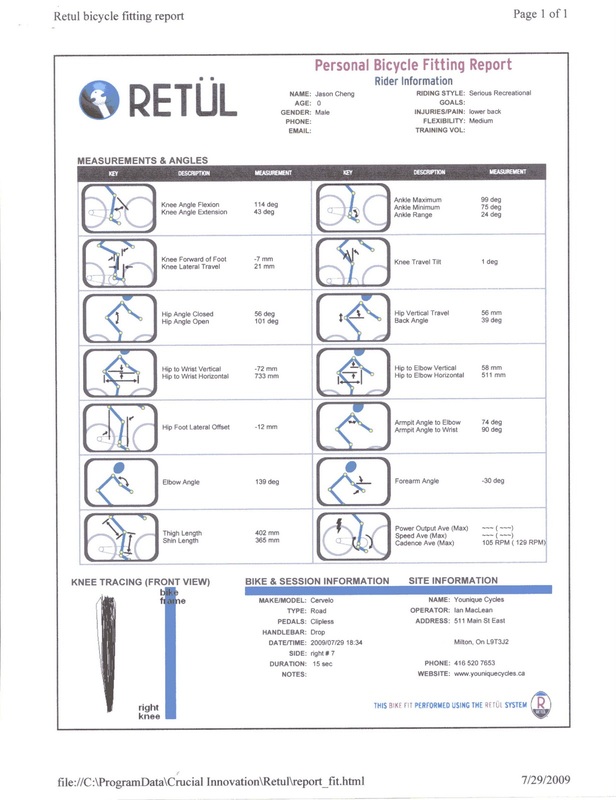 They worked relatively well but required you to install them carefully as pinching or kinking the liner that runs inside the beads caused cable drag and poor shifting. 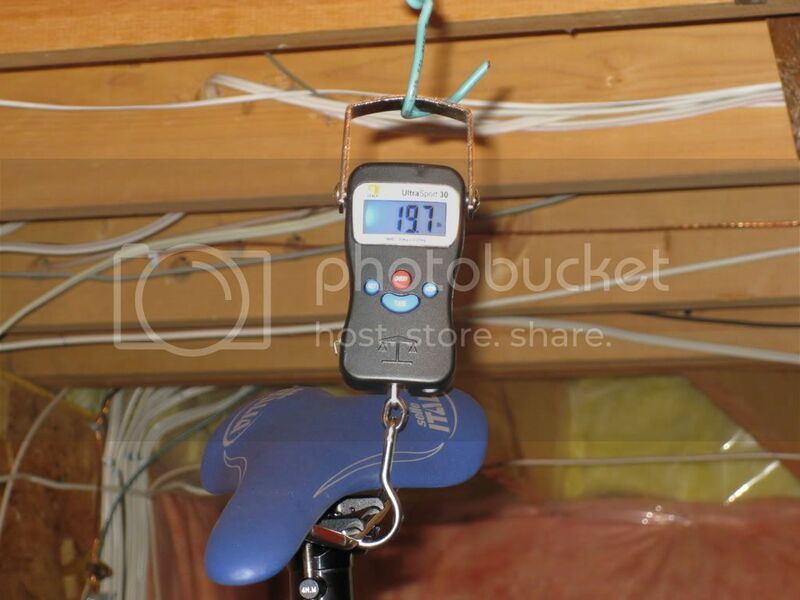 The finished bike hanging for the true weight. 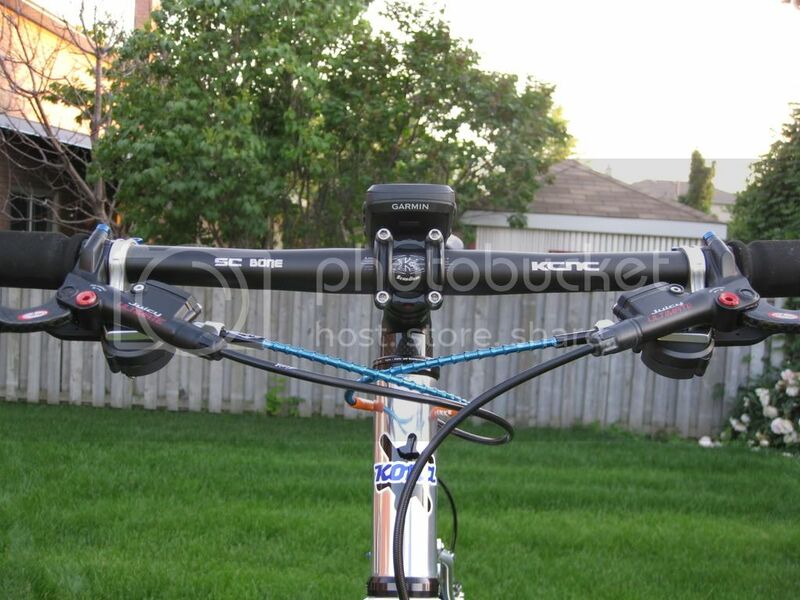 The bike remained relatively unchanged. At the time it was stolen it had Schwalbe Racing Ralphs in the rear, and Rocket Rons in the front. The saddle became a white Selle Italia SLR Kit Carbino and it had white ESI Chunky grips to match. 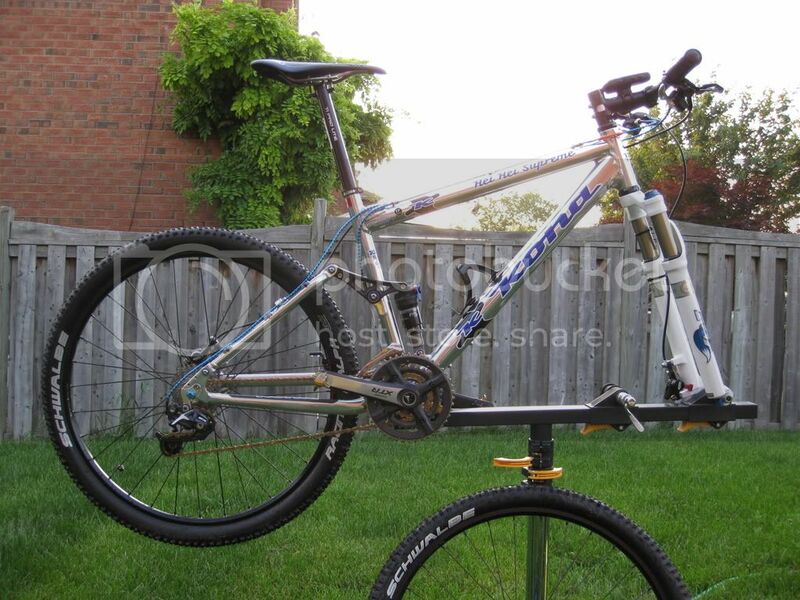 I had raced this bike in countless Ontario Cup races, Summer solstice 24 hour races, Hardwood Hills 8 hour races, and weekly Tuesday night Albion races. She even visited British Colombia for 3 week riding North Shore, Whistler, Revelstoke, Sunshine Coast, you name it we went there. 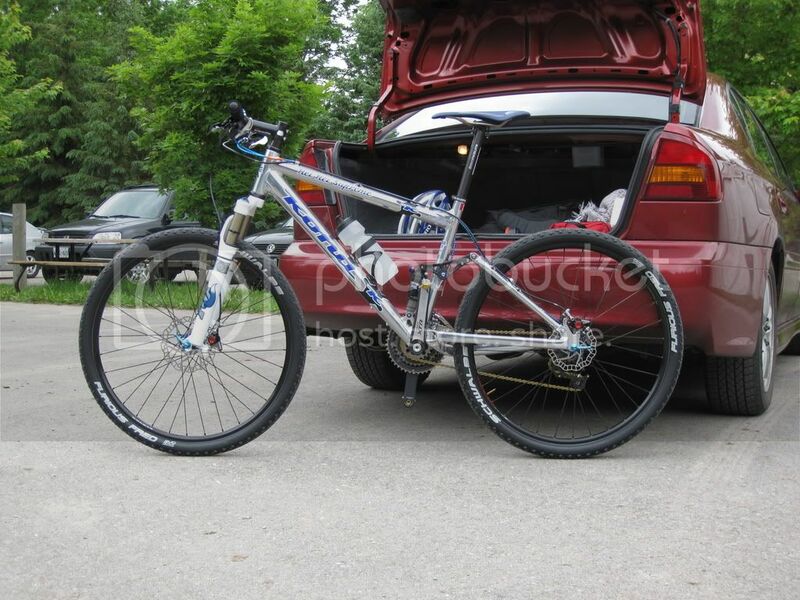 If you ever see this bike please shoot me an email. She was a great bike, you are still missed.